Project Transition USA is preparing to launch another very exciting project, Bring A Hero To Work, a “job shadowing” program for transitioning veterans. 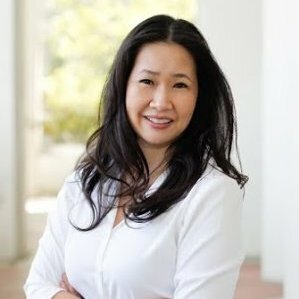 And we are very happy to announce that Kim Tran, Chief Officer of IT, People & Ops at Symphony (a workflow productivity company) and a loyal member of Project Transition USA’s Advisory Board, has recently become our Inaugural Sponsor. This new initiative is expected to change countless lives for the better, giving our transitioning military and veterans a chance to get to know fellow veterans inside local companies they are potentially interested in working with. Our pilot project will be in our hometown of Tampa Bay, and we’ll be playing “Matchmaker” — aided by the powerful business networking site, LinkedIN. Our list of “Corporate Hosts” is growing fast. Several military-friendly companies in Tampa Bay have already volunteered their support (including PricewaterhouseCoopers, First Command, and ReliaQuest), and we are actively seeking others who may be interested in participating. Although this program is designed to be an educational networking experience for veterans and their families, and not directly for recruiting purposes, we believe there is a very good chance it will reduce recruitment costs (and turnover!) for our corporate participants in the long run. At this time there is NO COST for veterans or corporate hosts to participate. However, sponsorship opportunities are available for those who would like to help us cover our expenses and partner with us to scale this initiative year-round and nationwide. Contact Nancy Laine at 727-415-3878 or nancy@ProjectTransitionUSA.org for more information.